IS Blogging worth the time and effort it takes? Husb and I in Washington State on Trail, Hiking. I’m going off subject of writing picture books or memoir and doing a post on blogging. Is blogging worth the time and effort it takes? She makes an interesting case for the affirmative even though the blogging scene has changed so drastically in the last five years. I see all kinds of blogs on the subject of blogs failing, the cause and effect. Even Mary Jaksch has a blog on the subject in the A-list blogging club. That is why I took notice of Karen’s. Karen cites the Technorati’s 2013 Digital Influence Report and its stats which strongly suggest that buyers still use blogs more readily than Facebook or twitter. She says blog readers like the personal relationship with the writer. I can see that with my self. I am readily to read a book I see in a blog by one of my blogging friends than any other source. I also like the personal relationship I have with writers. I consider them my blogging friends. I even consider the readers of my blog my friends. Hey friends! So to impress on you why it’s important to keep on blogging? It works. The reason you are blogging for is working according to the statistics. So keep it up, OK? Here is what I’d like to see in the comments. Do you feel like you are making a difference with your blog? Do you read blogs because of the personal relationship with the writer? Thanks for joining in the conversation. I value your participation. This entry was posted in blogging, Clara Bowman-Jahn, Clarike Bowman-Jahn, life story, personal growth, social networking, travels and tagged Blog, Facebook, Social media, Writer, writing blogs, Writing Life. Bookmark the permalink. 19 Responses to IS Blogging worth the time and effort it takes? Hi Clar, I’ve been aware of this debate about blogging and I can understand the points against it IF you don’t absolutely love to do it. I have to say that , for me, blogging has been a wonderful way to connect to interesting, like-minded people; a way to hone my writing skills and get feedback on my writing; and a way to have fun. 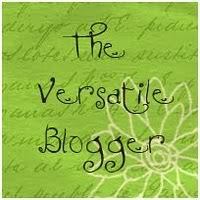 My blogging community inspires me and enhances my writing. Loving what you do is a prerequisite to continuing it. There are other ways of establishing connections–facebook, twitter,etc. To each his own. For me, blogging is here to stay! Thanks for your thought-provoking prompt. I believe blogging is worth the time as long as it creates the connections you wish to make. To me a blog is like a conversation. I share my thoughts and look forward to hearing yours and hope that we come to a better understanding of the subject or have some fun sharing something about ourselves and/or our work, interests, life in general. It works as long as the conversation is active. If one person is doing all the talking it becomes boring and tedious and converstaion stops. You are among a number of friends I know both in and out of the blogging community. And I agree it is a conversation one gets when blogging that makes it successful. As long as I get comments I feel like this goal is met and I feel rewarded in my blogging life. I think if I did not get the comments or have the conversation I would not be so engaged as to continue with it. For me to claim success I need to see it’s’ two way appeal. Clar, I have really enjoyed getting to know you through blogging. Great post and time to reflect. I have really enjoyed the connections I have made with with others through blogging — especially the writing community. It has given me inspiration and I’ve made friends globally, I would not have otherwise. And, I’ve developed relationships with authors and publishers. As long as my blog serves a purpose and gives to others, I will continue. It is true we would not have met if we weren’t blogging friends and I do so value our friendship. Your blog in particular serves a niche of healing blogs and your book reviews are important to people who read your blog. Like you I enjoy the friendships I have made through blogging and am glad to continue doing so for that reason. I still am working on my brand, but, I hope I’m making of difference. I follow blogs because of their “how-to” nature. . . I love to learn! 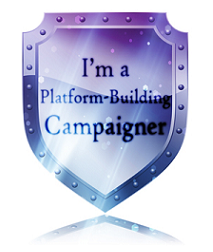 Like you I hope to make a difference by my blog. And I love our blogging friendship. Without my blog I would never have met you and I find that a perfect reason to keep on blogging. To keep on meeting interesting people all over the world through my blog. I too read other blogs to learn but more because they are my friends. It is a true relationship when they comment and have a conversation with me here. I guess I would say that if you love to blog and enjoy the community of bloggers you interact with, go for it. There are many workshops, intensives and books that can help a person become a more ‘effective’ blogger. One can also visit blogs that have huge followings or those of very successful authors and study how they are doing it. Thanks for being my blogging friend, too, Darlene! It is like a tea party isn’t it? I love seeing my blogging friends every time I blog, too. I wonder though if I have sold books because of my blog. I’m so pleased you liked my book. That means a lot to me. I think to do blogging that attracts and KEEPS its readership takes hard work and a special talent. You are always in the hunt for something new, fun, interesting or different. If you have a bunch of already published books to promote it becomes even harder to keep up the constant flow of posts. I admit I have let my blog slip of late. Too many other things have stolen my time and attention. I need more hours in the day, or another pair of hands. . . whatever pops up first!! Yet some of the blame must go to Pinterest. I have been using Pinterest boards to get the word out about my new books, as well as promoting the books, articles, writing help etc, of OTHER writers and illustrators on my boards. Pinterest is like a Venus Fly Trap – it lures you into it, and suddenly you are stuck!! SKYPE is almost as bad. Do you know I am doing a Skype Class Visit to a school in New Zealand on this coming Friday. Yikes. . . gotta go sent up a class plan, an order form, a list of books and. . . . I blog because the Mom Person gives me lots of good treats for my efforts!! And I have certainly met a lot of interesting folks through this computer world. Folks from all over the world! Even other dogs and even gargoyles!! How else could that have happened?! And I find out about LOTS of good books without having to search them out myself. 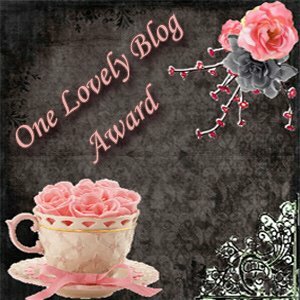 Thanks fellow bloggers!!! !